Bremsen Technik Group (together referred to as ‘we’) are committed to protecting and respecting your privacy. We gather and process data in accordance with the prevailing European and North American data protection legislation, including the EU General Data Protection Regulation (GDPR) 2016 and the Data Protection Act (2018). This privacy notice sets out how we collect information from you, how we use information we collect or that you provide to us. 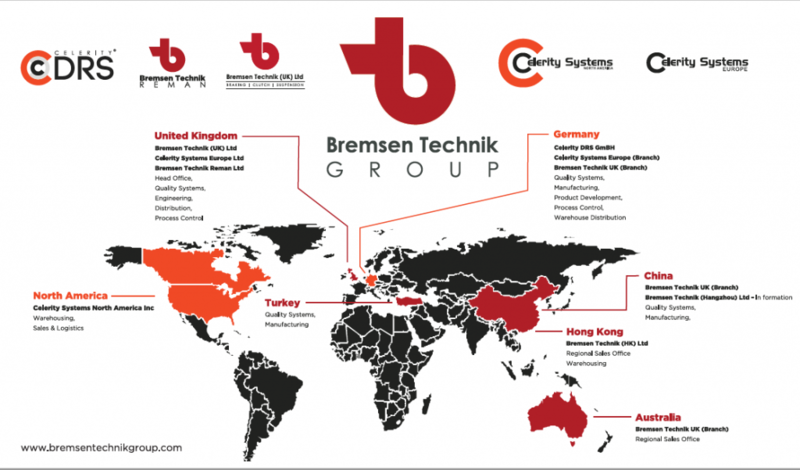 This includes information which we collect or that you provide manually or via our websites www.bremsentechnik.co.uk or other online services and platforms. If you have any questions or queries regarding how we use your information or you wish to exercise any of your rights in relation to your information (as set out below), please contact our Data Protection Officer at gdpr@bremsentechnik.co.uk or at Unit 6, Easton Way, Colburn, North Yorkshire DL9 4GA. We will only collect information that we will use for the purposes set out in this notice. Through forms and registration, for example filling in our ‘Contact us’, ‘Request a call’ or creating a customer account on our website. By speaking to us in our office or over the telephone, for example in making an enquiry or a complaint about a product you have purchased; or by applying for or registering accounts with us. This includes setting up passwords and preferred user names, contact details, account details, your preferences and interests. Personal details required to create an online account such as name, address, company name, email address, telephone number. Information on what you search for, view, click on and access in and through our websites and any marketing communications. Your social media content (where this is in the public domain) and any messages you send to us via social media. This information could include posts, comments, pictures and video footage. Information from banking, credit card and credit reference agencies about your financial status and the status of any payment card presented to us, (for example, if it has been reported stolen) to check we are likely to be paid for any transaction and to reduce the risk of fraud. Information collected independently by online advertising networks (for example Google) through which we may place advertisements. Cookies are small text files that are placed on your computer by websites that you visit to identify you. They are widely used in order to make websites work, or work more efficiently, as well as to provide relevant information to you. To provide you with our website, which requires a certain amount of technical information to be collected in order to work properly. To gather feedback from you about our website, our products, our services and activities from time to time. We may invite you to provide this feedback on occasion, for example by emailing you to ask if you would like to review products you have purchased. We may use independent research and feedback providers to do so on our behalf. To respond to any social media posts or other public comments you make where these are made to or about us, our Website and our products, services or other activities. To communicate with you about operational changes to our website, our products and our services, for example changes to our product list. To monitor use of our website to see if it is being abused or threatened, for example by people posting inappropriate comments in review areas or by potential hackers attempting to undermine our security measures. To enable us to understand our customer and user base. We do this by combining your information with information about our other customers and users of our website so we can spot trends and common factors. We can then further tailor our business approach and in particular our marketing communications, products and services to the things we think you and other people or businesses like you and your business would be most interested in. We may on occasion collect sensitive personal information about you. By way of example, information about your racial or ethnic origin may be included within the identification information you provide to us as part of our account opening process. We will use this sensitive personal information for the purposes of identifying individuals to combat fraud and other criminal activity. We will share this sensitive personal information with the police where necessary. Other people and businesses who help us provide our website and related services to you, for example, information technology companies who host and/or maintain our website and payment services companies who enable you to use payment cards with us. Data will only be transferred to countries outside the EU or EEA (so called third countries) if this is required for the execution of your orders, prescribed by law, and if you have given us your consent or in the context of data processing. If service providers in a third country are used, they are obligated to comply with the data protection level in Europe in addition to written instructions by agreement of the EU standard contractual clauses. See ‘How do we use your information?’ see above for full details of those purposes. It is very important to us that all the information we hold about you remains accurate and up to date. We need your help in doing so. Where we are using your information on the basis of public interest or our legitimate interests (see paragraph above), you have the right to object to this at any time by contacting us using the contact details set out below. Where you have given your consent to us using your information (e.g. for marketing purposes), you have the right to alter your preferences or withdraw this consent at any time by contacting us using the contact details set out below or, where applicable, through managing your preferences through clicking the ‘unsubscribe’ link. This will not affect the lawfulness of any use of your information that we make before you amend your preferences or withdraw your consent.